Cortana on mobile is like a child caught in a separation — the separation of Microsoft and Windows Phone. Although Microsoft’s virtual assistant is available on both Android and iOS (besides Windows 10), without the same privileges as Google Assistant or Siri, it is poorly optimized for smartphones. So Cortana is largely confined to the PC for now, and that’s the very reason its usage has remained limited in comparison to Google Assistant, Alexa or Siri. 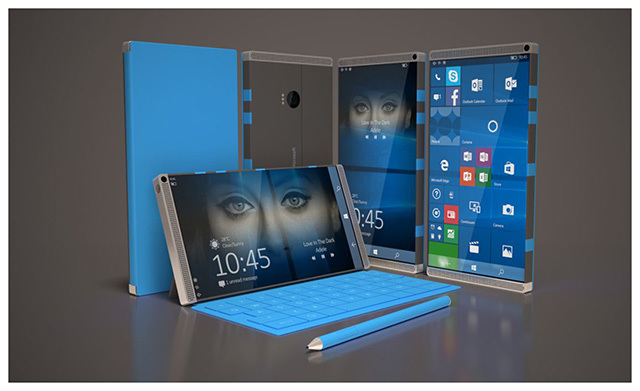 It’s no wonder then that fans of Windows are clamouring for a Surface Phone. While the response was soon edited, citing uncertainty about the Surface Phone’s prospect, the comment was enough to prick the ears of those waiting eagerly for Microsoft’s in-house smartphone which has made several rounds on the internet lately. The engineer also chimed in on the evolution of Cortana, which has been “relatively slow“, promising that the team is working hard to make Microsoft Cortana live up to the expectations of the consumers. Microsoft has been rumored to be developing a game-changer Windows Phone device, allegedly called the “Surface Phone”, running a unified Windows ecosystem — Andromeda OS — which will be a full-fledged version of Windows that can scale cross-platform Windows apps as per device. Microsoft was also recently spotted testing apps for a mysterious platform, which many alleged to be the Andromeda platform.